Industry and business media are reporting spiking shipping volumes in trucking, air freight and other transportation routings. Logistics and transportation industry teams are naturally euphoric, and view such trends with high optimism. 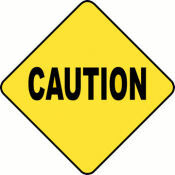 Industry supply chain teams and shippers need to view such trends as a huge Caution sign. Readers in industry transportation and logistics sectors may have noted both industry and business media reports indicating that air freight traffic volumes were considerably up during the end of 2017 holiday fulfillment period. Today, The Wall Street Journal published a front-page article that described why air freight volumes spiked almost 9 percent year-over-year in November. The report cites two reasons. The first was that online shoppers now expect faster delivery on just about everything, including common household items. The second was noted in what we included in our 2018 Predictions, namely that product demand and production capacity levels are at historic highs across most all developed regions, and are approaching new highs in lower-cost and developing regions. Bottom-line, industry supply chain and sales and operations teams are facing little upside flexibility from suppliers, and last-minute needs come at a high cost. Supply Chain Matters cautions our readers to look beyond this air transportation exuberance centered on the traditional peak shipping volume period of the year-end holidays, and focus instead on this data as being an important signpost. By our lens, look instead to two other signposts. A spike in air freight volumes is a clear sign that supply chain planning and fulfillment processes fell behind in fulfilling customer demand requirements. The symptoms are reflected in the reports of what is being shipped by air, and in what our blog and other media has been reporting. Apple incurred a 4-5-week delay in the production ramp-up of the new tenth anniversary iPhone X, no doubt resulting in both key component parts and finished phones being airfreighted all over the globe, not to mention last-minute surges in iPad production to make-up for lost iPhone sales. A similar scenario was likely occurring with the overwhelming demand for the Nitendo Switch game console. On the other spectrum, Tesla struggled to fulfill Model 3 production output requirements which no doubt prompted air freight shipments of factory automation equipment. The last two months of 2017 featured added natural disaster occurrence across the U.S. in wildfires across California and severe winter storms and bone chilling cold across the country. That obviously added to unplanned and urgent product demand in home improvement and repair products. More than likely, readers can attest to their own organization’s last-minute scrambles over the past few weeks. We submit the takeaway of higher air freight volumes is the proverbial Caution sign- namely that the supply chain response network fell behind. The reasons may be as-expected, product demand or supply disruption was unplanned or unforeseen. That is an obvious reality for many industry supply chain teams. Then there are the real root-cause areas to look for- what is changing on either the product demand or supply facing areas. Has the boom in automated electronic online ordering shopping assistants fueled artificial urgency? Example: “Alexa- order laundry detergent for two-day delivery” Teams will likely not sense such trends until they make their way through various product replenishment cycles, and then, it may require some advanced analytics to identify the source of the bullwhip cycles. Bottom line, look beyond the headlines and dig into the root causes. Do so before the next anticipated product demand surge period.